A luxury touring company and an underwater research firm have organised a dive to the wreck of the Titanic followed by a 10-course meal inspired by the ship’s original menu, including Champagne from 1907. Cookson Adventures have teamed up with Oceangate to create the unusual travel package, which is scheduled to take place in July 2019. Nine people are making the journey to the location in the Atlantic, south of Newfoundland, where the ill-fated cruise-liner sunk, after striking an iceberg on its voyage from Southampton to New York in 1912. The travellers will then accompany researchers and scientists on board Titan, the only non-government owned manned submersible vessel, capable of reaching depths of 4,000 metres. Guests will help the team in navigating to the wreck, which is located more than 3,700 metres underwater, and assist with sonar mapping and photography. The Titan will explore the Titanic’s deck, its bridge, radio room and famous first class staircase. The experience concludes with a 10-course meal back on land, which is based on the vessel’s original menu served in the first class deck on 14 April, the night before the vessel sunk. Among the dishes known to have been offered on the day are oysters, Consommé Olga (made with beef stock and garnished with scallops); salmon, mousseline sauce and cucumber; Filet Mignons Lili (filet mignon topped with seared foie gras and truffle, with potatoes and a Cognac, Madeira and red wine sauce); Calvados-glazed roast duck with apple sauce; peaches in Chartreuse jelly and chocolate eclairs with French vanilla cream. This will be accompanied by a bottle of 1907 Heidsieck Gout Champagne, the vintage known to have been consumed on board the Titanic. Obtained from supplier Wine Source, the bottle was salvaged from the wreck of Swedish schooner sunk by a German submarine in 1916. This expedition, which is the first manned trip since 2005, could be one of the last to take place. A study in 2016, revealed that the ship, which is badly rusted, could be disintegrate within 15 to 20 years. Cookson did not disclose the price of the trip, however when Oceangate last spoke about the project in December last year, a price of $105,129 (£82,890), was quoted. This, it said, was the equivalent cost of first-class passage on the Titanic, adjusted for inflation. 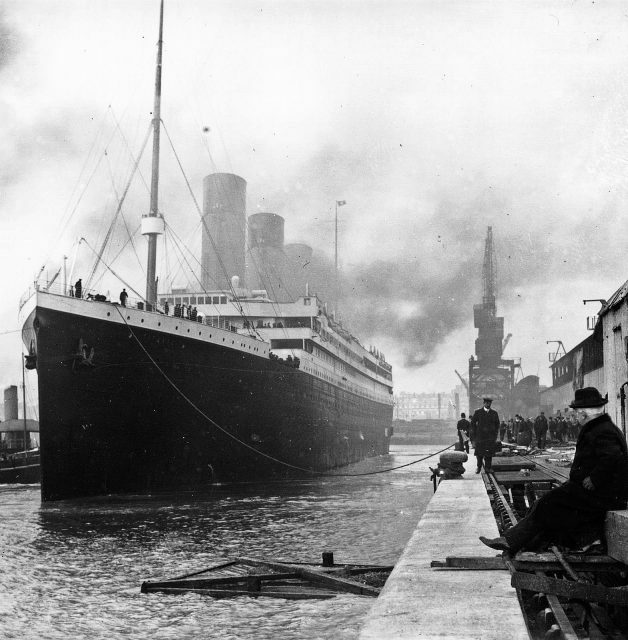 The Titanic disaster claimed the lives of over 1,500 people. The wreck was eventually discovered by Robert Ballard in a US military mission in 1985.